4 Tips for sewing Big Time for Holi-Daze week. Every now and then we are blessed with an extra long holiday weekend, so I’d like to share my strategies to help maximize your sewing time. I peruse my Pinterest boards and my “to list” to focus in on what I want to work on. I try to pick items that are similar enough that I can work through them quickly without having to think too much about what I’m doing. Be realistic about how much time you have and how much you can get done. 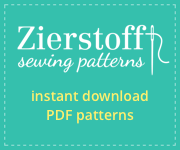 Get your patterns traced & cut, fabrics washed, & make sure you have the notions required. Get organized. Put your patterns together with their fabric and notions. Do all your cutting at once. If you’re making multiples of one pattern, layer the fabrics and cut them at the same time. Sew similar seams at the same time. If you’re making a pile of tees for example, sew all the shoulder seams in your stack then sew in all the sleeves in your stack and so on. To make my sewing room UFO free has been a give and take process. A couple years ago I committed to making one project at a time, from cut to finish, and have almost entirely eliminated new UFOs. I do not pre-cut multiple projects (unless I know I’m absolutely committed to making them) knowing that I give up some efficiency in my sewing time, but I gain the freedom to change my mind about the next project on my list. The only hitch in my “No To UFOs” plan is occasionally running into an issue that I cannot solve without some input. I give myself the freedom to start and finish another project while getting help on the problem and then I finish it off. Are you wondering what I made over the holiday weekend? Well to be honest, not very much. Weekends are family time and rarely do I get to sewing, but I did finish a Jalie Drop Pocket Cardigan for my Core Wardrobe. 1) Clear the sewing room of previous project leftovers. Those are good tips. I keep my table clean for my own sanity, but I know that is not the case for many. Having to make room as you go and threading those beasty sergers can eat up so much time. Thanks Bonnie. It really is a neat design and I have a short pattern review scheduled for October when my sew along is all done. If you want big uninterrupted blocks of time during the weekend in which to sew, I think it also helps to put in some extra time during the week to get other things out of the way. For example, since I’m the cook in my house, I plan a slow cooker meal for my sewing day. Since I also do most of the cleaning, I try to get ahead on that before the weekend. If I start household chores on Saturday morning, it’s easy to spend the whole day on that and never get to sewing! I’m thankful that as a stay at home mom it’s not so much the caching up of housework that takes over the weekends, it’s more that I don’t want to miss out on spending time with my husband and son. You make a good point though about planning and prioritizing to make space for the things you want to do. I love this Melissa. Looks great and will be so versatile. Thanks Nancy, I hope you’ll get to see it up close very soon. We’re counting done the days.